The Black Country's kinkiest does it with style for ESP Institute. 'Laurentian Abyss' seduces us to a slinky 5/4 coda wrapped up with milky synthlines and daubs of colourful, breezy pads for heady and bodily effect. 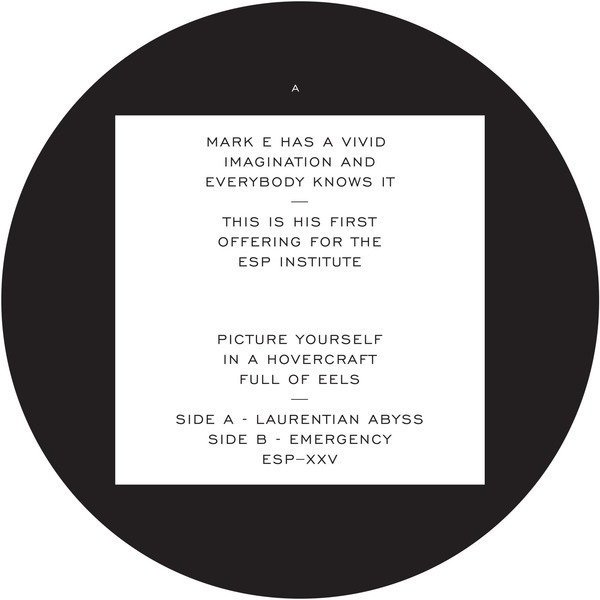 The Nodge-y acid base of 'Emergency' sounds unusually quick by Mark's normal standards, but the layered arrangement is still measured with the sort of poise and mesmerising patience we've come to expect from his productions.